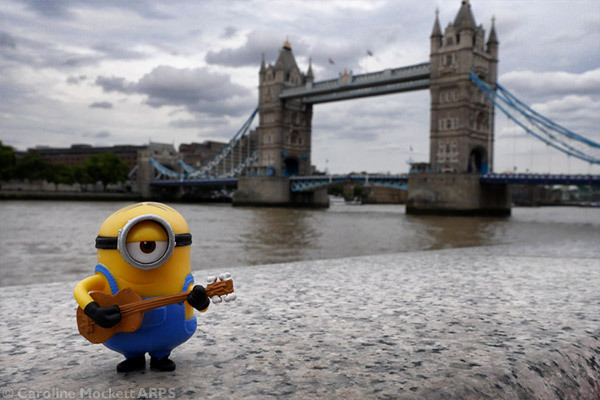 Stuart enjoys visiting London in his spare time when he’s not busy with other Minion duties. He loves to busk with his guitar near Tower Bridge, and will warble away happily for hours. He’s been practising songs which he hopes his listeners will like, and always aims to hit the high note. A great shot for Topic 28 – High. Phil and Stuart have been working on a secret project in their workshop. They have made a fearsome hybrid of a Domo and a Minion (which apparently is called a Dominion). But the thing has run amok and was last seen chasing them around the room in a homicidal rage. Ooops. I think Frankenstein’s Monster is a mere pussycat in comparison! 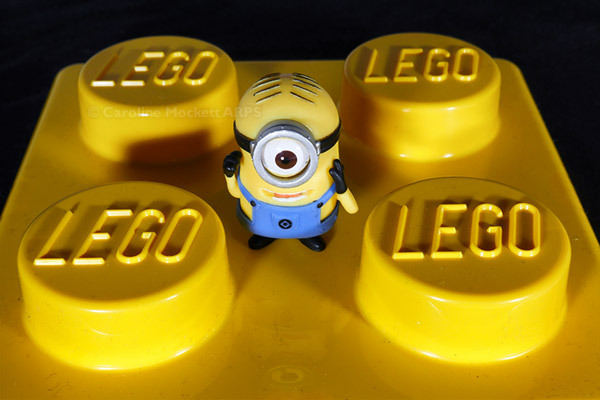 Oh well, that will teach them to go meddling – but it does make a good shot for Topic 39 – Handmade. 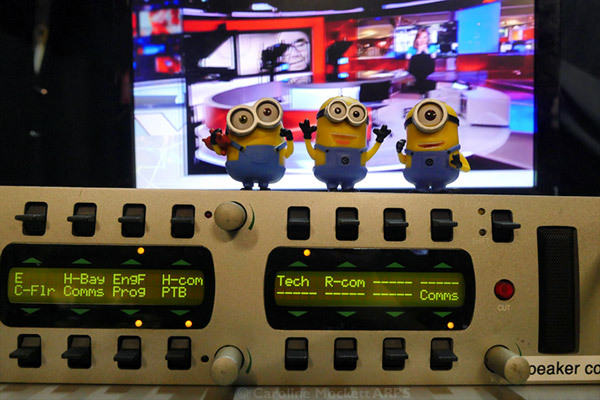 In the Minions’ world, news travels fast, especially when it involves details of mischief-making! After the stow-aways in my bag last week, I found another trio of them (Bob, Phil and Stuart) had managed to hitch a ride into work today. So I put them to good use, and told them to listen to all the noises coming from this talkback box. They were to tell me immediately if anyone was calling for our Engineering help. 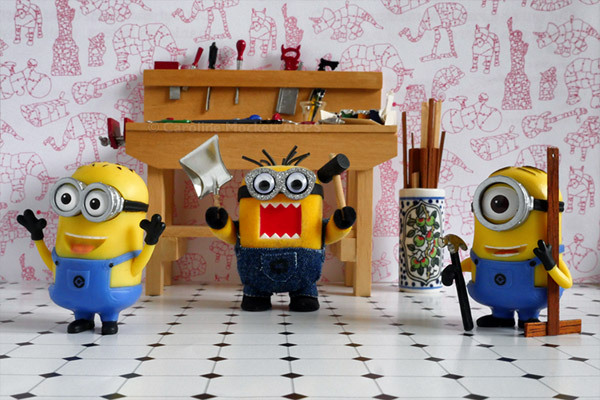 Sometimes it’s good to have minions! 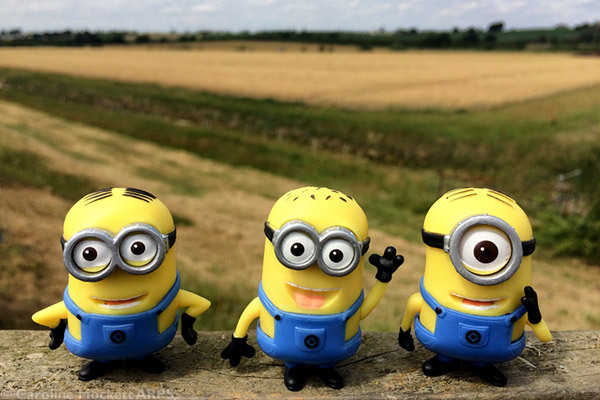 Anyway, they were happy to pose for a picture – for Topic 47 – Backlit.